Brought to you by Carlos F. Camargo, Ph.D. The worst thing any homeowner can do before selling their property is to just list the house on the market. Real estate agents won’t even list homes that haven’t gone through MRH: maintenance, renovations, and home staging. You’ll be in a much better position to sell your home for what it’s worth after going through MRH. All four must be in top shape before you can move on to renovations. Don’t skip on maintenance. It’s not worth it. Soon, you’ll understand why. After maintenance, it’s time for renovations. The big thing about renovations is that they aren’t cheap, and they take time. Renovation costs – Ensure that you over budget for renovations. You want some breathing room because the renovations you need are likely much greater than the renovations you want. 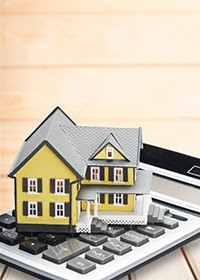 Time costs – Remember, the goal is to sell your home for the highest possible price. Take time doing the necessary renovations to reach that goal. The final part of MRH is home staging. Expect to spend at least $2,000. You could spend from $5,000 to $10,000 depending on your home staging goals. Hiring a home staging expert might be worth it. There you have it, MRH: maintenance, renovations, and home staging. The bottom line is that you want to ensure you sell your home for the highest possible price. Skipping any MRH step can lead to buyers passing purchasing all together. 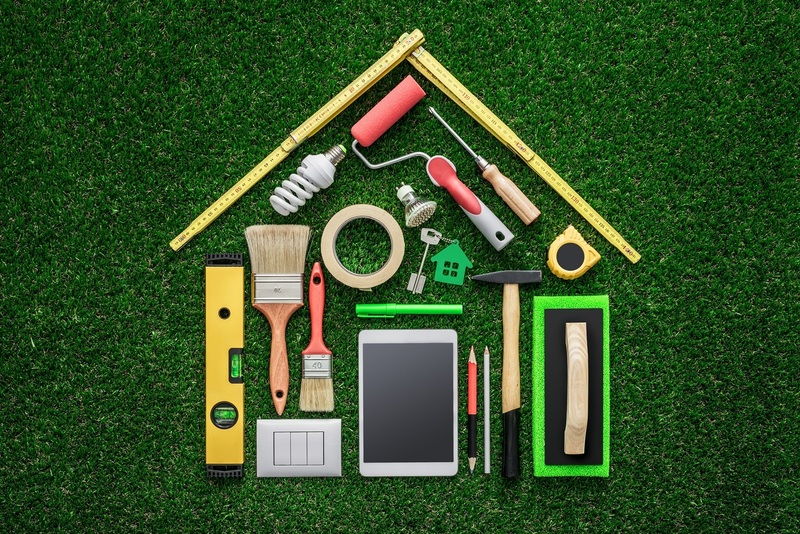 Some buyers take off double the cost of renovations. Follow MRH and sell your home for what it’s worth! Have the other houses in your neighborhood upgraded? 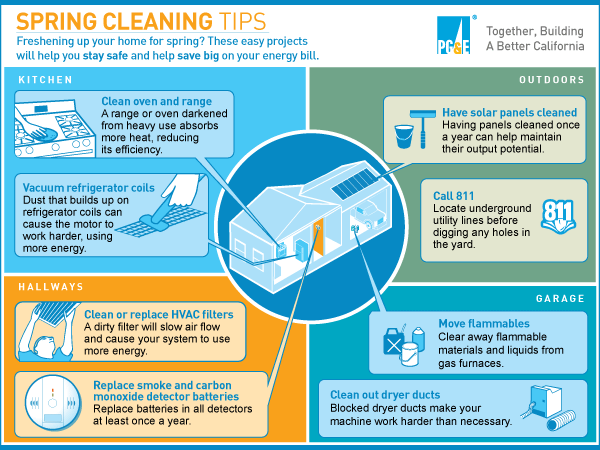 If your house is not in good condition, expect to spend more money, time, and resources. The National Association of Realtors suggest that buyers will automatically subtract double the cost of any repairs and unfinished issues. Average cost of electric repairs go from $500 to $3,509 depending on the electrical project. 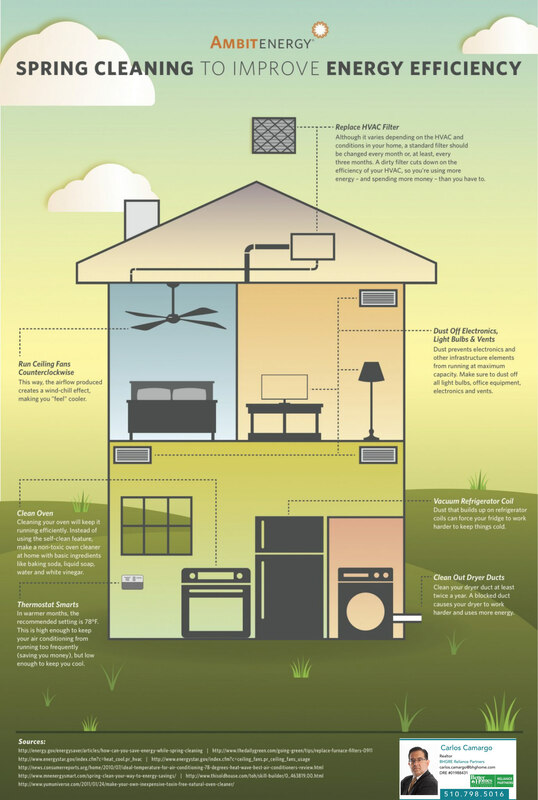 Heating and cooling repairs cost from $750 to $15,552 depending on the project. Plumbing repair services go from $204 to $5,145 depending on the services. The average cost per hour of a plumber ranges from $45 – $150. Repairing water damage costs between $1,043 to $30,852, depending on the severity of the damage. The average costs of repairing a gas leakage range from $150 to $7,000 depending on the type of repair. The average costs of termite control go from $500 to $2,500 depending on the method of extermination (DIY up to chemical extermination). On average, professional mold remediation and repair can cost from $500 – $60,000/; and depending on the severity of the mold, it can soar into tens of thousands. Newly renovated homes will receive a higher market price. Renovation costs often run higher than what you might have originally budgeted. Renovations are recommended for sellers who do not need to move out quickly, as these take time and money. When you home stage, you prepare your house for the marketplace. Home staging makes your house more appealing to potential buyers. Staging won’t make your home sell for more. When budgeting for home staging, budget 1% to 3% of your asking price for staging. Costs for home staging can range from a couple hundred dollars up to $5,000 or more. The average home seller spends an average of $1,800 on home staging. Staging services average $400 to $600 but this depends on the market and square footage. All costs are averages and they may vary depending on location, sizes, and condition. Your house may not need all the services and renovations mentioned here, this is a global average cost in case your whole house would need fixing. LOOKING TO BUY OR SELL A HOME? I can help! 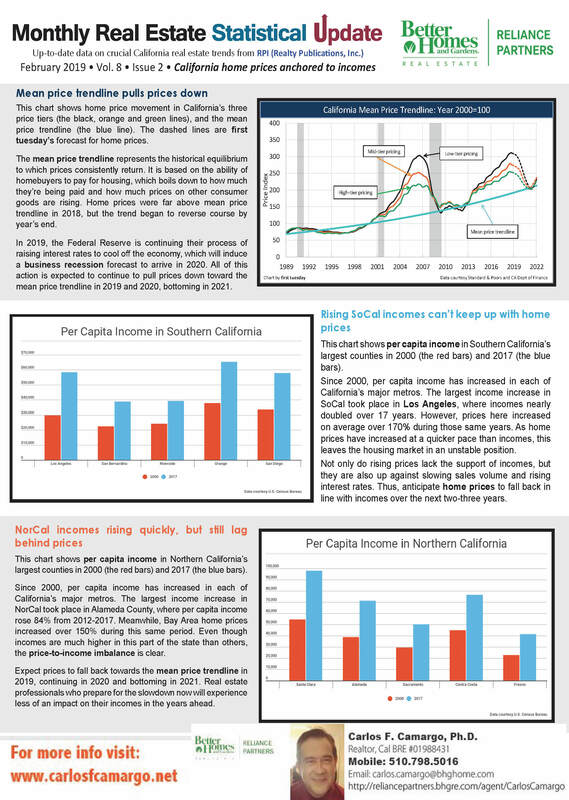 2018 was a lackluster year for the California housing market. While remaining above the 400,000 benchmark, home sales fell 5.2 percent to 402,750, the state’s first decline in four years. Sales have been declining on a year-over-year basis for eight consecutive months since May 2018 and hit the lowest point in nearly four years with 372,260 units sold in December 2018. Sales declined in all price segments at the end of 2018 but falling the most in the high-end market in recent months. 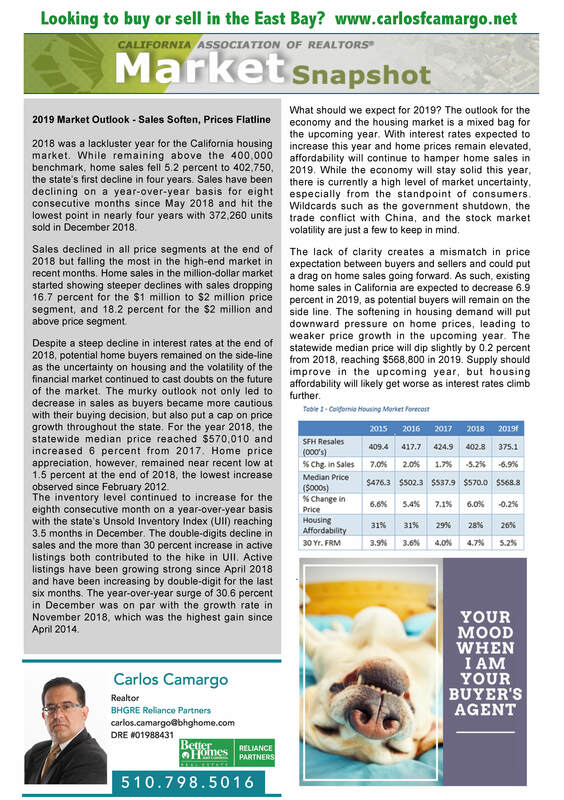 Home sales in the million-dollar market started showing steeper declines with sales dropping 16.7 percent for the $1 million to $2 million price segment, and 18.2 percent for the $2 million and above price segment. Most people love and cherish their home. Homeowners want the next owner to fall in love with it, too—through photos, words, and the experience of walking in the front door. But, perhaps most, sellers want the right asking price. This isn’t a small task. Selling a home requires work. It requires time. The journey isn’t always easy. There will be frustrations. But when a homeowner can seal the deal and move on to the next chapter — wow, what a blissful feeling that is. Know what is wanted (and what your partner wants) in order to sell a home with minimum frustration. Why is the move necessary? What are the expectations from the process? When should the ‘For Sale’ sign be placed in the yard? Unless the home was purchase last week, the housing market changed since you became a homeowner. 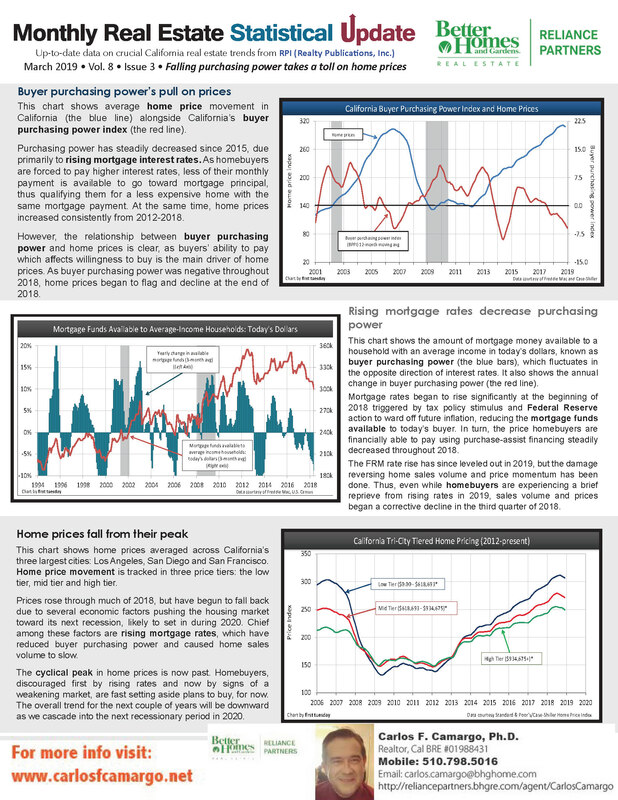 Mortgage rates fluctuate, inventory shifts over time— these are just a few of the factors that affect the state of the market, and every market is unique. Become educated on what to expect. 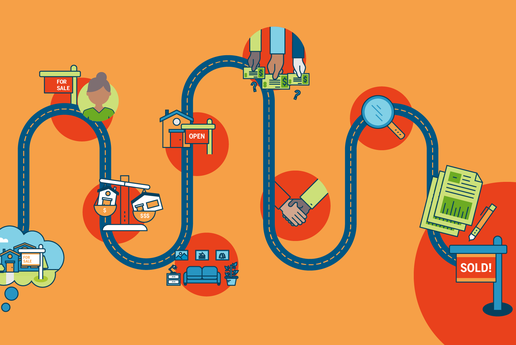 This is the most important relationship on the home-selling journey. Pick the right agent and there’s a good chance of receiving the better sales price for the house. How much is the home worth? That’s the…$300,000 question. Whatever the number, you need to know it. This is how an agent will help pinpoint the price. Today, homebuyers have unfettered access to property listings online, so making a great first impression on the internet and listing is crucial. 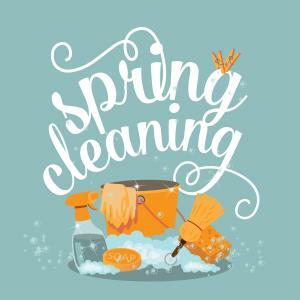 That means decluttering all the stuff that has accumulated over the years, making any necessary repairs, and getting the home in swoon-worthy condition. Here’s how to stage a home. The best-marketed homes have beautiful photos and compelling property descriptions, so they can receive likes — which can amount to buyer interest on social media. Some agents even use videos, virtual tours, texts, and audio messages. One of the best ways to get buyers in the door is to have an open house. This is the chance to show off a home’s best assets, and help buyers envision themselves living there. 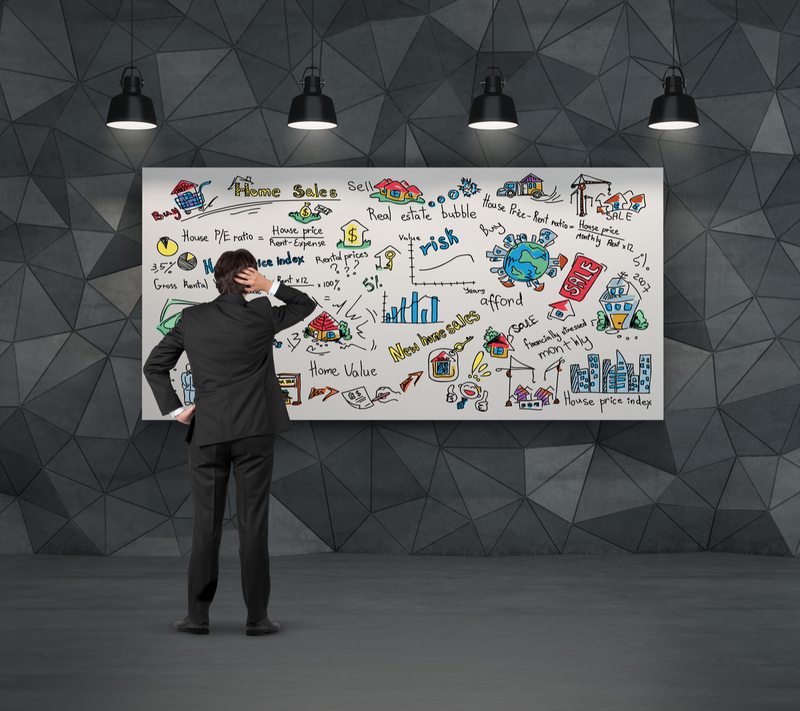 Know how your agent will organize, advertise and host the event to ensure it’s a success. Most purchase agreements are contingent on a home inspection (plus an appraisal, which will be managed by the buyer’s lender). This gives the buyer the ability to inspect the home from top to bottom and request repairs — some even could be required per building codes. The upshot: You have some room to negotiate, including about certain repairs. Settlement, or closing, is the last step in the home-selling process. This is where the final paperwork is signed, the whole process becomes official and the seller collects their check. Before that can happen though, you’ll have to prepare your home for the buyer’s final walk-through and troubleshoot any last-minute issues. 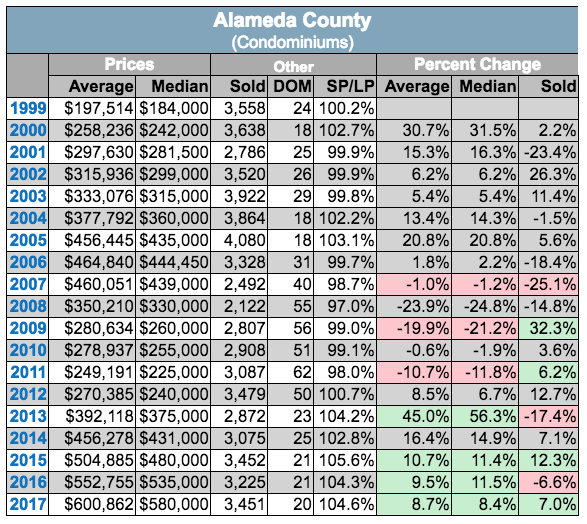 After peaking in April, the real estate market in Alameda County has been on a steady down trend. The sales price to list price ratio, or what buyers paid divided by what sellers were asking, was at 111.2% in April. As you can see in the chart below, it has fallen steadily since then and it ended the year at 101.8%. The median sales price for single-family, re-sale homes peaked at $1,005,000 in June. It ended the year at $849,500. The average price peaked at $1,113,911 in April. It ended the year at 944,087. 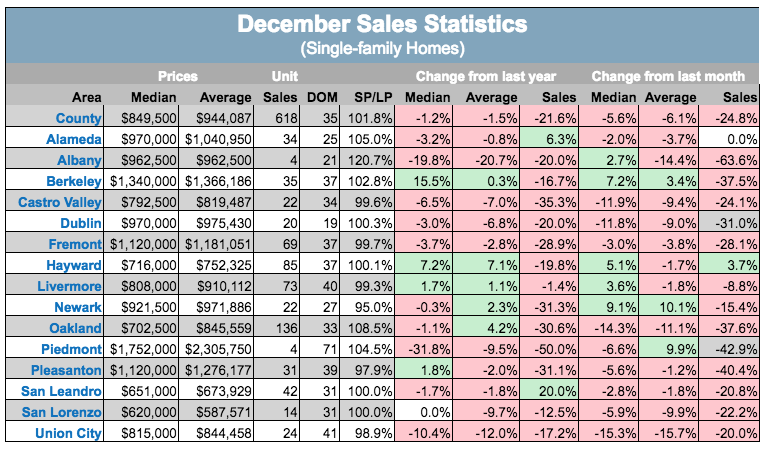 In December, both the median and average prices were lower than the year before. Something that hasn’t happened since March 2012! Sales of single-family, re-sale homes were down 1.6% from the year before. 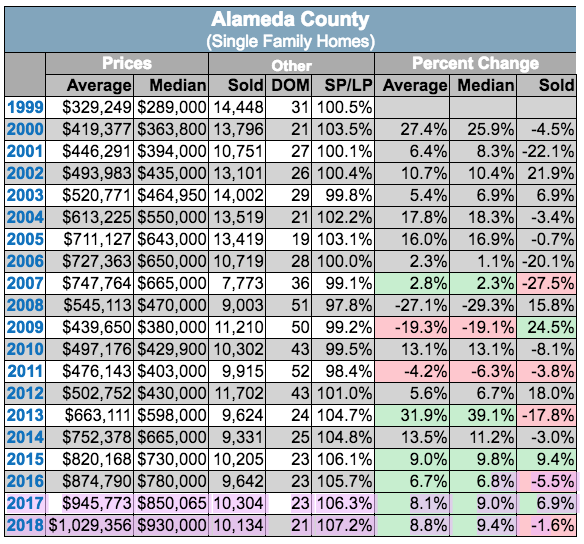 There were 10,134 homes sold in Alameda County in 2018. The sales price to list price ratio peaked in April at 109.2%. It closed the year at 100.3%. That is the lowest it has been since May 2012! The median sales price for re-sale condominiums peaked at $681,000 in July. It ended the year at 620,000. The average price peaked in June at $706,110. It ended the year at $637,327. 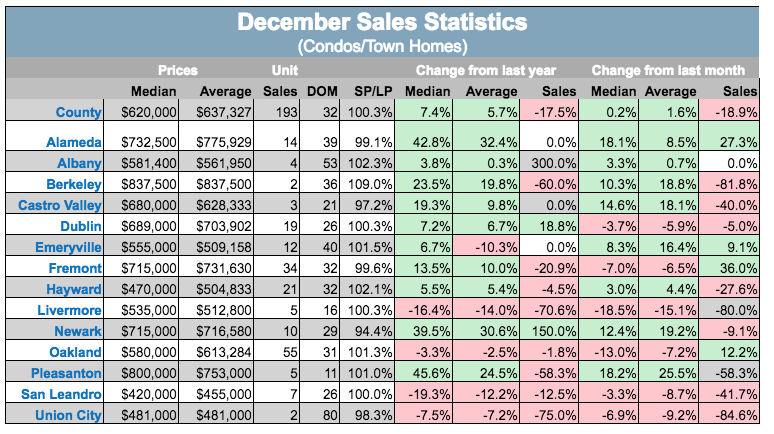 Condo sales were down 7% from 2017. For assistance in this market, do not hesitate to contact me. 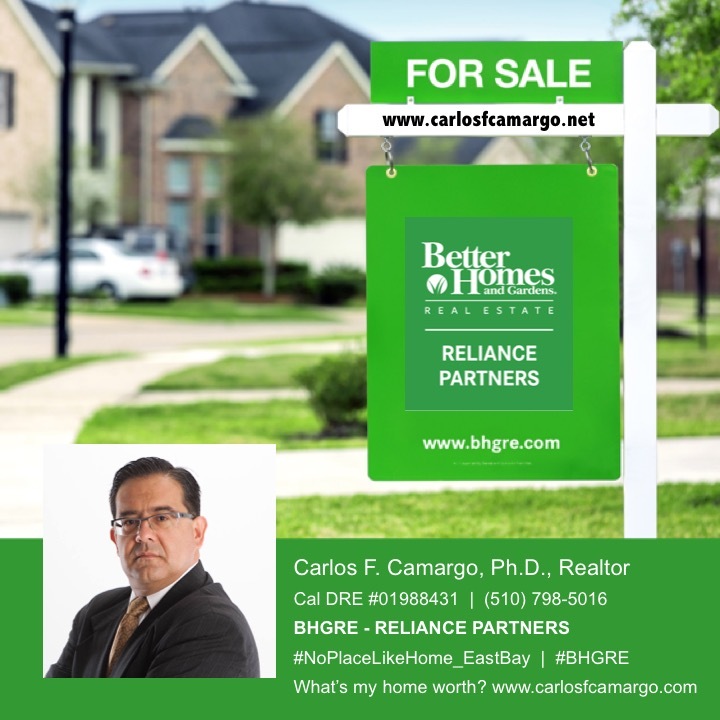 If you are thinking of selling, I can provide a free comparative market analysis.